The Halo 2 multiplayer lights will stay on into the summer, and possibly even longer. There was a (very) quiet sigh of sadness back in January when it was announced that Halo 2 online mulitplayer servers would be shut down for good on February 15. Server populations were consistently peaking at 20 players or less, according to Jessica Shea of Halo Waypoint, and that's just not enough to justify continued server support. But yesterday, just three days before the plug was to be pulled, 343 Industries designer David Ellis announced that the game had been given a new lease on life. 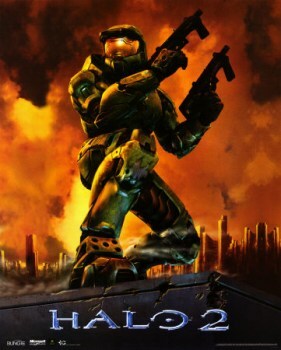 "Halo 2 PC support extended through June 2013 while we investigate further support options," he tweeted. "Now go get those achievements." Ellis hasn't said anything about why 343 decided to keep the lights on or what "further support options" might be on the table, but tacking a four-month extension onto a game that's almost ten years old is a pretty big hint that the studio has something specific in mind. Maybe you die-hard dozen won't have to give up on your favorite Microsoft shooter after all.